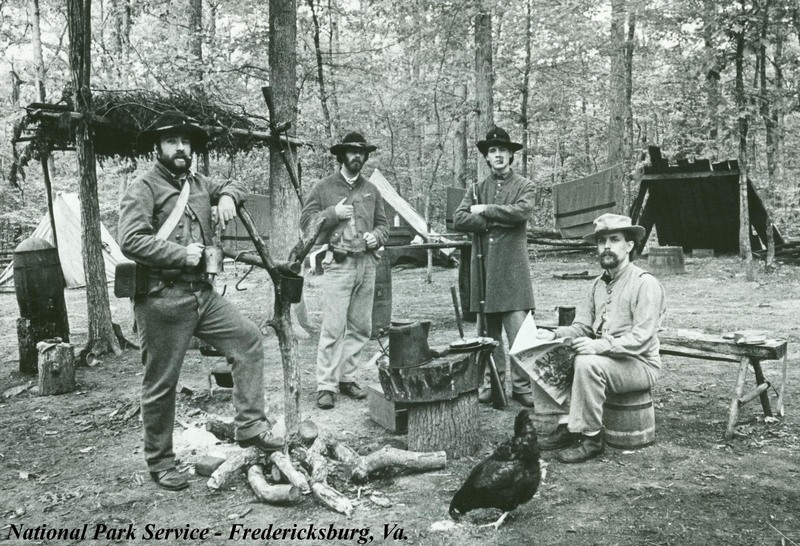 The core members of the 1974 Chancellorsville Living History Camp – L-R: Dave Jurgella, Jim Kirkpatrick, Charlie Childs, Vance Sheffer. The most significant departure from the 1973 program was the largescale living history encampment staged on the battlefield in August 1974. This encampment, whose participants were chosen by invitation only, took place at Hazel Grove and Fairview on the Chancellorsville Battlefield. The comparitively large event, comprised of volunteers from Civil War reenactment and living history groups, was an idea conceived by Bill Brown, a NPS employee at Harpers Ferry, and Burt Kummerow. The two men belonged to a Revolutionary War living history group known as the 1st Maryland. 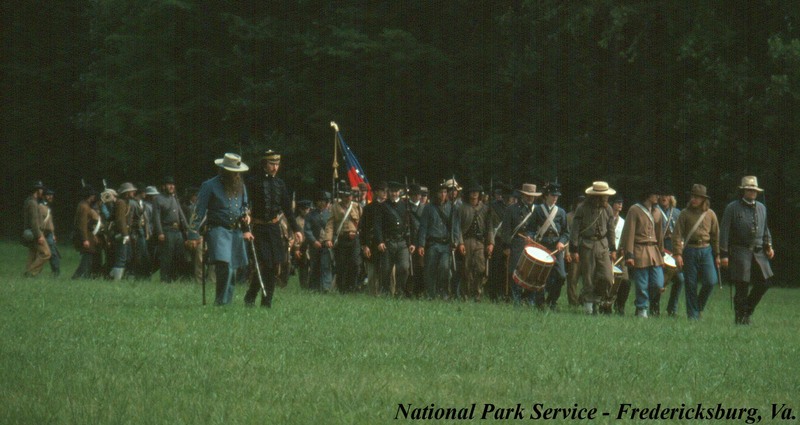 This group formed out of the 1960s Civil War reenactment units known as the “Black Hats,” the 2nd North Carolina Infantry, and the Potomac Field Musicians. (For a wonderful description of these groups during the Civil War Centennial, check out the memoirs of Ross Kimmel here.) Members of the 1st Maryland still participated in Civil War living histories and ptiched the idea of a large encampment to the park. The program was largely organized by the volunteers, with the NPS providing logistical and interpretive support. Participants of the 1974 Grand Confederate Encampment lining up to receive rations. About 50 – 75 Confederate reenactors took part in the weekend’s activities. Weapons displays, field music and drill/tactical demonstrations were the programs presented for the public. Chancellorsville Grand Confederate Encampment – August 10-11, 1974. The event received local press coverage and was considered a success, but it was a departure from the park’s living history camp and certainly from the type of program Bill Meuse envisioned two years earlier. The use of outside volunteer groups for large weekend living history encampments would become the norm on Civil War battlefield in years to come and remains at the core of most NPS living history programs today. September 1974 brought about the end of the second year for the Chancellorsville living history camp. The camp reopened in 1975 and continued to provide a living history experience for both the staff and the public each summer through the 1977 season. 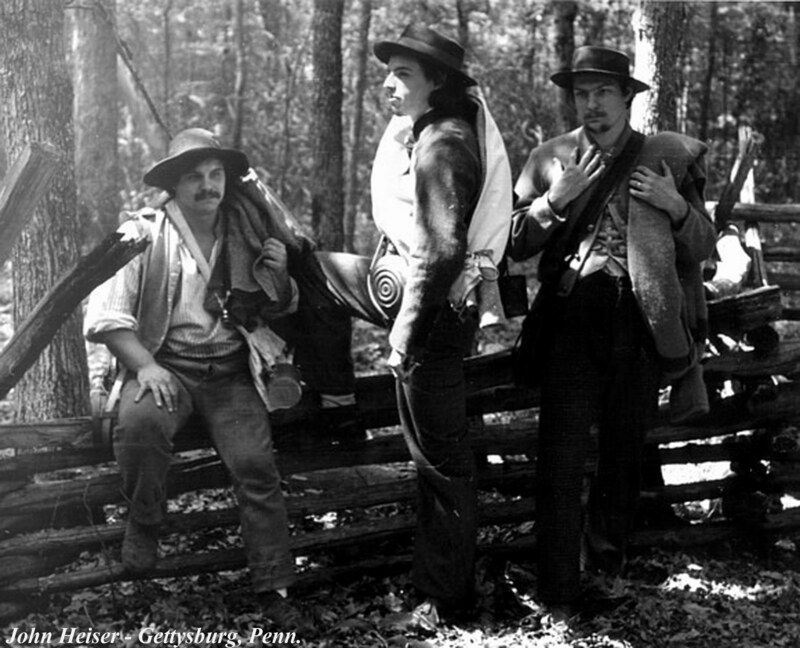 Staff of the 1977 Chancellorsville Living HIstory Camp – (L-R): Richard Moncure, John Heiser, James Shaffer. 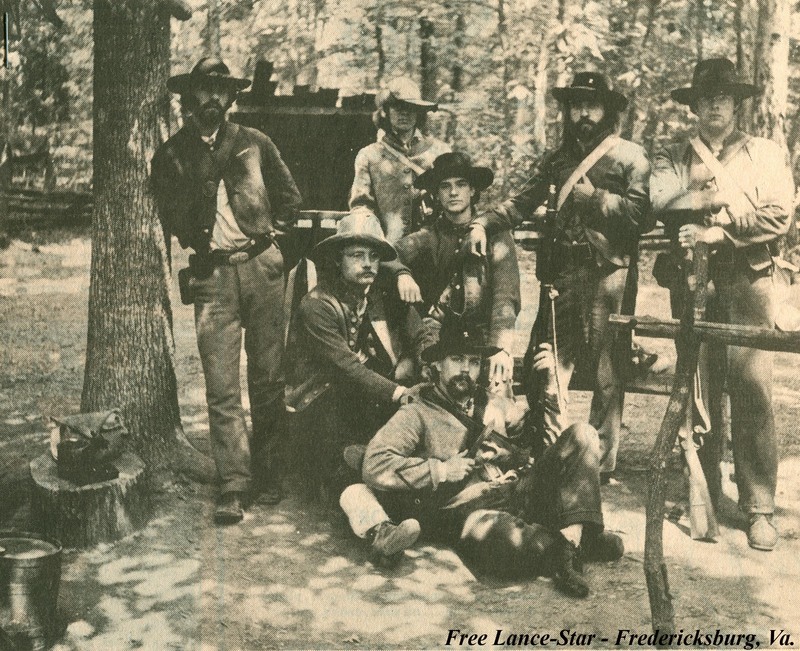 By the fall of 1977, some park staff felt that the living history camp at Chancellorsville had run its course as an intepretive program. That coupled with land acquisitions, and the arrival of new staff, resulted in the decision to break up the camp. 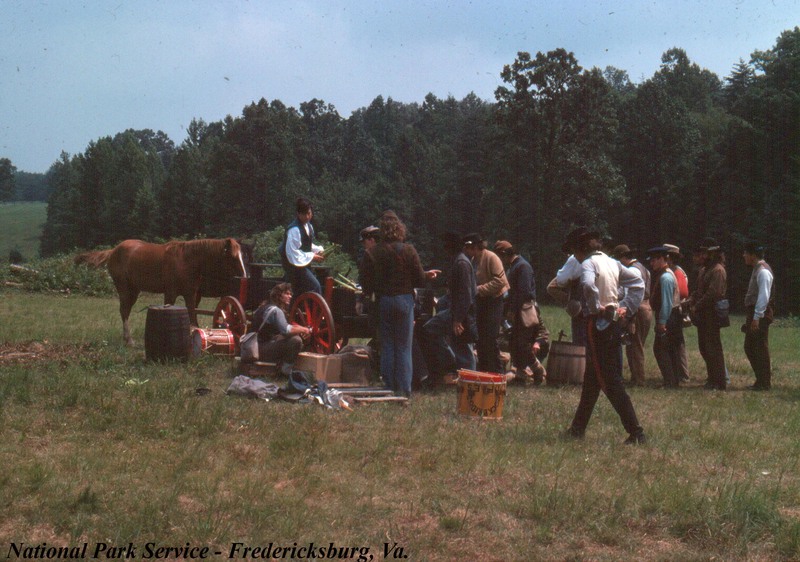 The 1978 season would feature living history as a key interpretive program at FRSP, but it would not be relegated to just one battlefield. A follow up post that looks at the use of living history at other sites within the park and how the park uses this interpretive programming today can be found here. If any of our readers remember the living history camp and have some stories to share, please post them in the comment area. With the past two posts about unusual living history/interpretive programs is there any consideration about doing another event outside of the “10-20 persons weekend camp” which is normally seen at most parks? Stu – To my knowledge, the park really hasn’t discussed larger-scale living history programs. It is something worth considering, however, as the 10-20 person weekend programs have become so commonplace. Did they spend the nights on the battlefield too? Or just hang out at the camp during the day? Good stuff and very interesting again, Eric! Tom – I believe the 1974-1975 camps did live on-site, but in the final years I think the shifts were limited to the daylight hours. I enjoy the image prepared by Mr. Heiser and crew sitting on the fence, a la the famous Gettysburg prisoner photo. It looks like they put some real time into assembling all the elements.